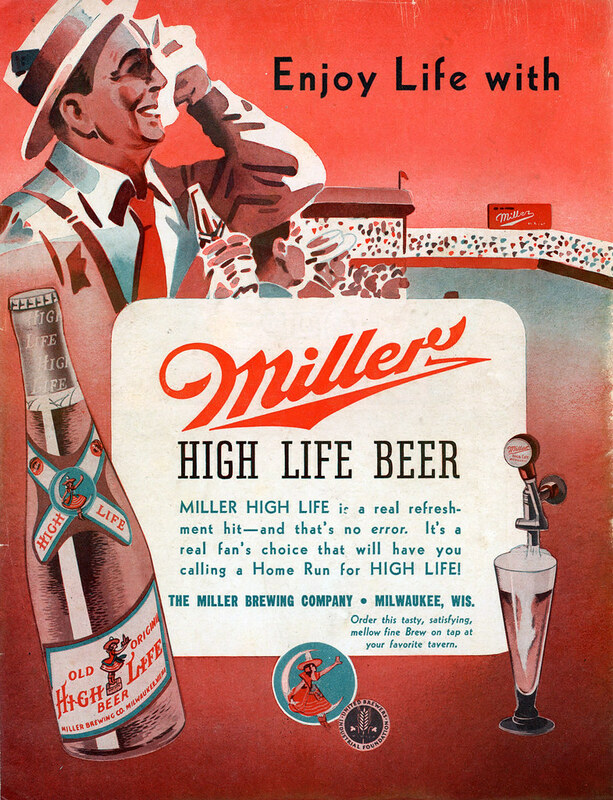 Tuesday’s ad is for Miller Brewing, from 1943. This ad from a Milwaukee Brewers’ game program and features a scene on a warm day at the ballpark. Who wouldn’t be thirsty in that situation?